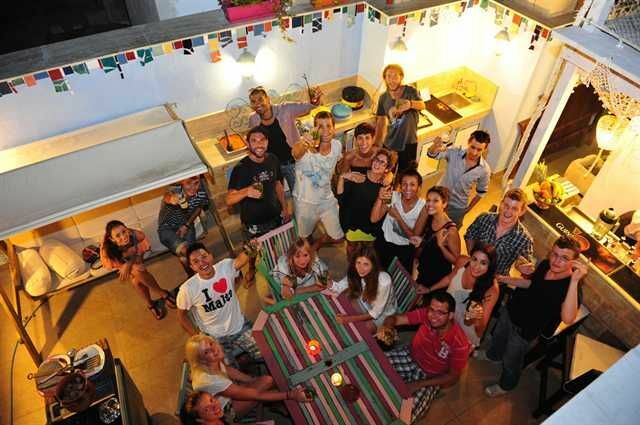 BBQs, Mojitos, Sun deck, Jacuzzi and a Comfy Chillout area... are some of the simple pleasures our guests can use freely at Hostel Malti!! We have finally re-opened the new and improved Roof Top Terrace to our scruffy and happy guests... a terrace not to be expected in most Hostels! Our terrace has always been the perfect place for travellers to relax after spending their day exploring the beautiful island, where they can sit back and share travel stories, or enjoy cocktails in our jacuzzi. We host frequent roof top BBQs which can be enjoyed whilst winding down and listening to some summer chillout tunes. We will go out of our way so to help you find an activity, interest or adventure that excites you, whether it is beaching, kite surfing, partying, hiking, scuba diving, cliff jumping, learning English, 4WD, biking, sailing, shopping/market places, horseback riding, or snorkeling!! We organise hostel trips to Blue Lagoon during the summer months, where guests travel by speed boat to the island of Comino and can go cliff jumping and snorkelling in the clear waters. One of our many great achievements is bringing people from different nations together! With the help of the atmosphere created on our rooftop terrace and the warm homely feel in the Hostel, we welcome you to be part of the good vibe that resonates here. 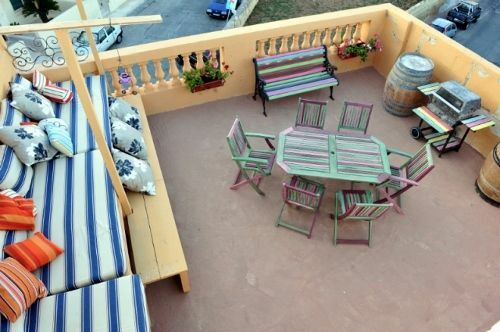 The Hostel is a converted Maltese town house dating back to around 200 years. 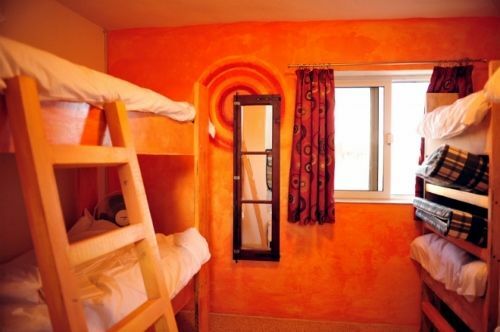 Our four bright and airy dormitory rooms; Sea, Sand, Sun and Surf are all equipped with individual lockers for you to use. We have a strict rule that after 11:00pm is quiet time, even though most guests are warming up for the night at that hour. So to continue the fun, on most nights we organize a small pub crawl to kick off the evening, these are fun and good value for money. In order for you to have a nice lie-in in the morning we have equipped the rooms with black-out curtains. Whilst for our early birds, the fully equipped outdoor kitchen is very popular whether its for a quick fry up or a healthy fruit salad.